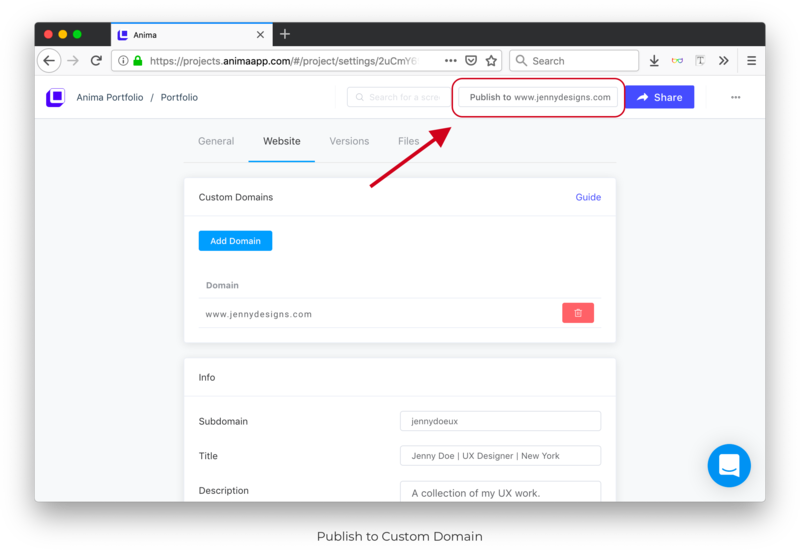 You can use your own domain with a website created in Sketch using Anima. Next, we are going to setup the “naked” domain which is your domain but without the ‘www‘. To avoid any conflicts, your domain provider’s settings should only have these two Anima records. Please delete any other existing records. Domain changes can take between a few minutes to a few hours to take effect. Add your domain twice, one with ‘www.‘ and without ‘www. If you need to setup SSL for your custom domain, please contact support@animaapp.com with your domain and Anima account email address.